Get Away Today is back with an even BIGGER holiday ticket sale! Visit getawaytoday.com or call 855-GET-AWAY to speak to a travel expert directly. No promo code needed – price is already reflected online. Discount is valid on both 1-Park per Day and Park Hopper Tickets. 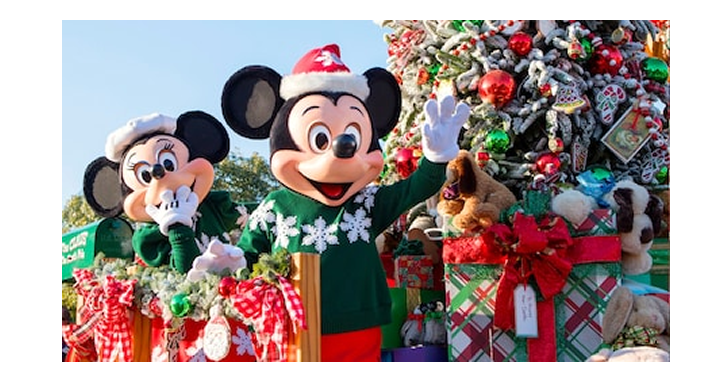 During Holidays at the Disneyland Resort, you can experience the holiday season like never before! Enjoy ride-overlays Haunted Mansion Holiday, “it’s a small world” Holiday, Luigi’s Joy to the Whirl and Mater’s Jingle Jamboree. Plus, eat your way through the Festive Foods Marketplace and end your day with the “Believe… in Holiday Magic” Fireworks spectacular. As you can see, there is so much to experience during Holidays at the Disneyland Resort! So, what are you waiting for? To book, visit getawaytoday.com or call 855-GET-AWAY. Don’t forget to mention promo code F2Deals for an additional $10 off your hotel and tickets vacation package. Let them know that Freebies2Deals sent you!